On Tuesday of last week, Honda shared it’s vision for hands-free driving when they unveiled a car that can safely navigate highways while the driver’s hands are nowhere near the steering wheel. Although the car is just a prototype for now, Honda believes that we could see the technology on the market as early as the year 2020. The prototype has cameras that monitor lane markings and multiple radar sensors around the car. On top of the vehicle is a mounted laser and GPS which scans the area around the vehicle for other cars and objects. The GPS also helps to keep the vehicle on route and within the speed limits, or at the speed of traffic. The car performed well in it’s 15km loop around the city of Detroit, as it successfully kept up with the speed of traffic, was able to make lane changes on the highway, and even merge on and off the highway. For the entire trial, the driver’s hands remained off the wheel. 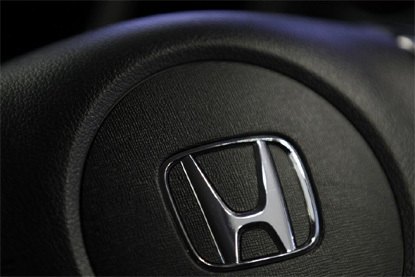 However, Honda says that if the car senses it can’t handle a situation, it will return control to the vehicle operator with warning. The goal is to make driving safer and more efficient, and self-driving cars are one way to do that. Keep an eye out for future news stories involving these vehicles, as it’s something you’re going to be hearing about for the next few years at least!